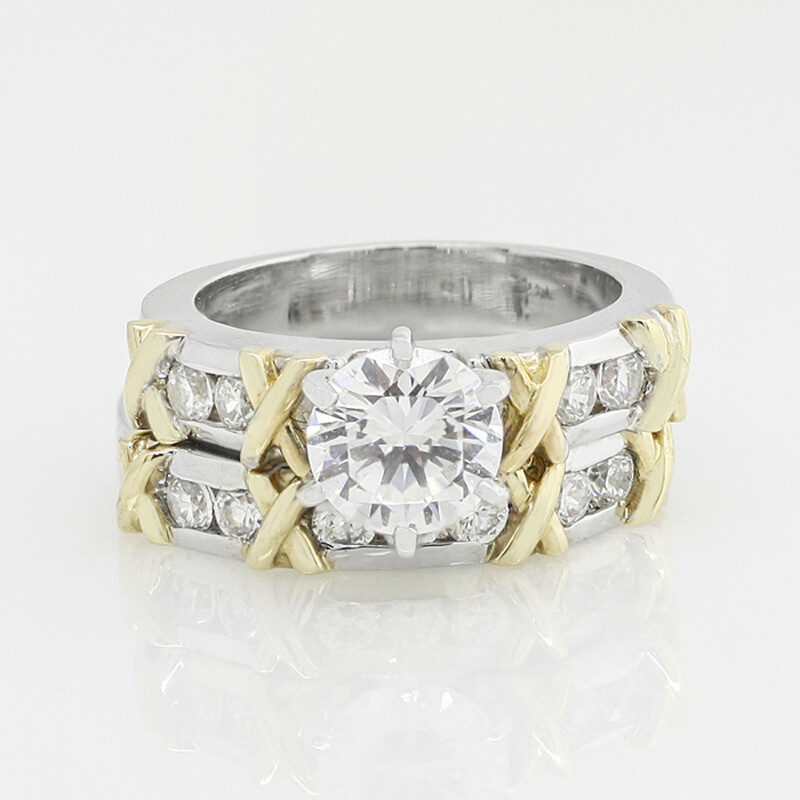 Society Pages with 1.28 carat Round Brilliant Center and One Matching Band - 14k Yellow and White Gold - Ring Size 6.0 was added to your cart. 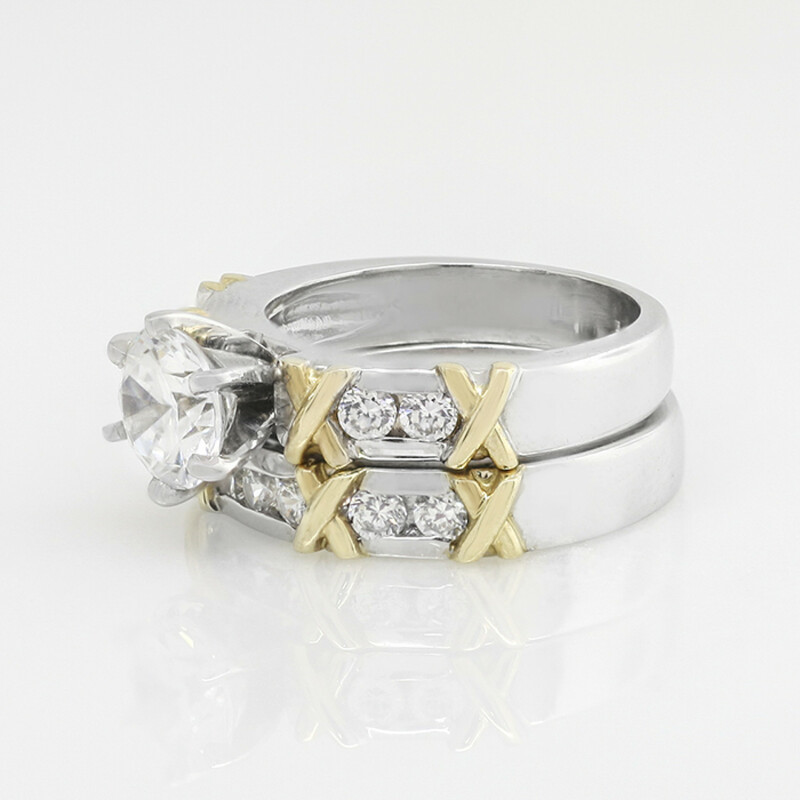 Wear it alone or as a matching band. Seven Round Brilliant cut Contemporary Nexus Diamond accents give this band an irresistible sparkle, while the contrasting details make it a perfect match for the Society Pages engagement ring.